When Reasons Collapse have been act for the past 10 years and counting. Over time, releasing two self-produced EP's "Tale Of Crime" (2010" and "Full Of Lie" (2011), with their debut album "Dark Passengers" (2015) following a short while later. Since the band had so many releases as it were, they took to the stages, playing gigs across Europe in 20 countries thus far, over 200 shows strong, sharing the stage with Within the Ruins, I Declare War, Jinjer, Benighted, among others. 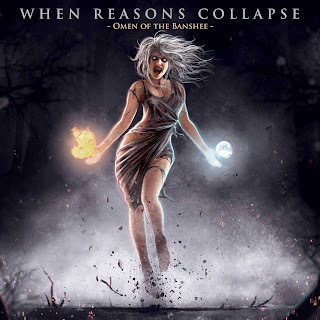 Now that their sophomore album and follow-up release to their debut album is upon the masses, "Omen of the Banshee", may just be a release that will set the course for where this band will go from here on out. That said, "Omen of the Banshee", opens up with an instrumental track "Escape", that hits right into a back to back smasher of a combo with "Lies of God" and "Sirens". Each of which, bring the force of brutality, with not just containing the brutality that is female vocalization, but the instrumentation as well. 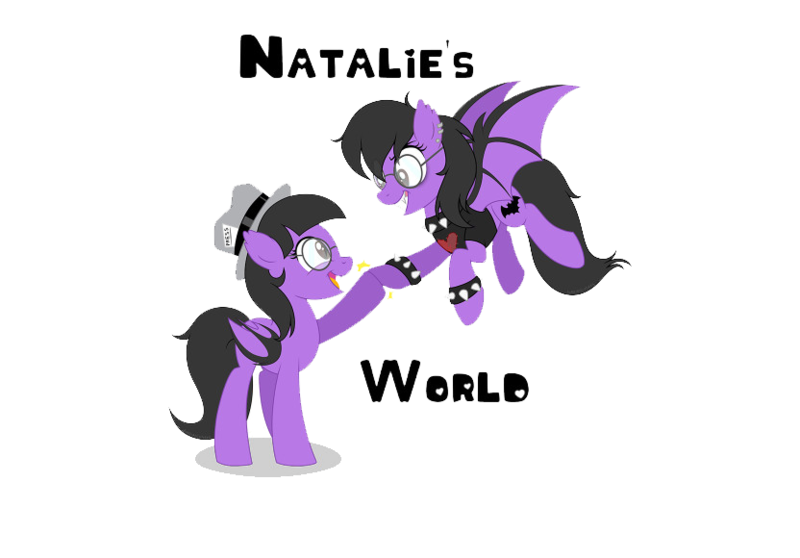 Literally when listening to these tracks, or any of the others offered upon this album, like "This Life a Curse", "The Raven", and "Lost", for instance, that same source of momentous energy is chucked forward delivering a high sensed adrenaline of aggression that is total chaos. If fast tempos, hard hitting riffs, with progressive drum beats is what keeps the heart pulsating then these tracks, if not the entirety of this album is your outlet source. By combining such metal genres as metalcore crossed with deathcore, it is by far a rush of no bounds. 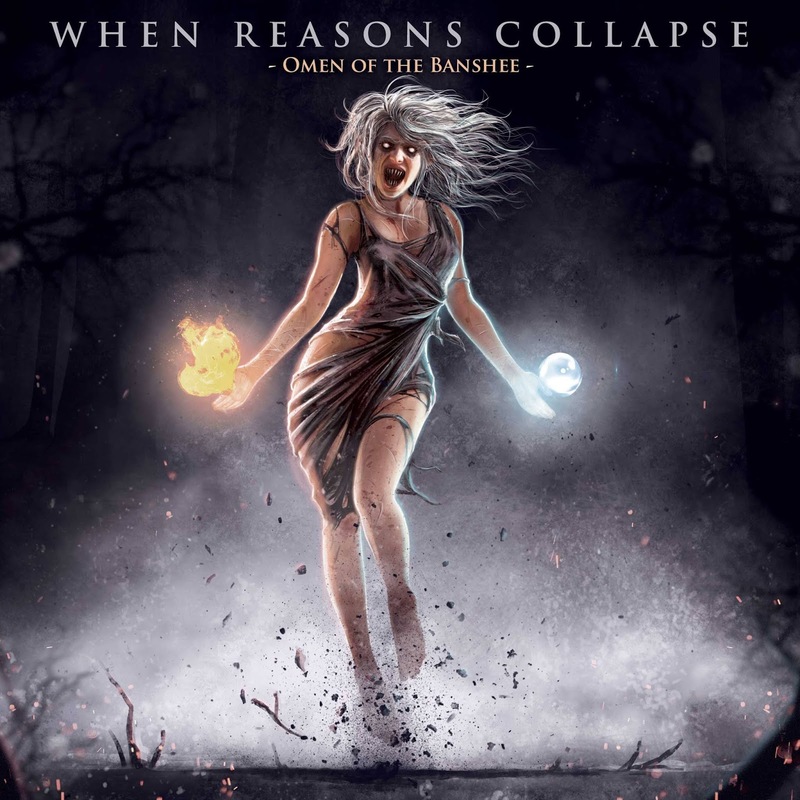 When Reasons Collapse first came upon this scene of the metal community, who would have thought, that given time, their growth and development, would be what has become the album of pure brutality "Omen of the Banshee".